Haven’t had a chance to look through it yet, but I’m sure it’s lovely! O, The Oprah Magazine and Dentyne’s Good Choices campaign officially kicks off this month with an exciting online application, reader competition and upcoming event hosted by O magazine contributor and life coach, Martha Beck. The ‘Good Choices’ campaign aims to take readers on a journey of self-discovery assisting them to become the best they can be, by making good and positive choices every day. With the new online app, readers now have the opportunity to build their own Good Choices board and stand the chance to win R100 000 toward fulfilling their dreams. By creating their own Good Choices board through the Good Choice app, readers are entered into a draw for R100 000 worth of prizes. The app is web-based and free of charge. Every completed board will count as an entry into the draw, with twenty finalists being asked to motivate their good choices. The best motivation will win R100 000 towards realising their dreams. 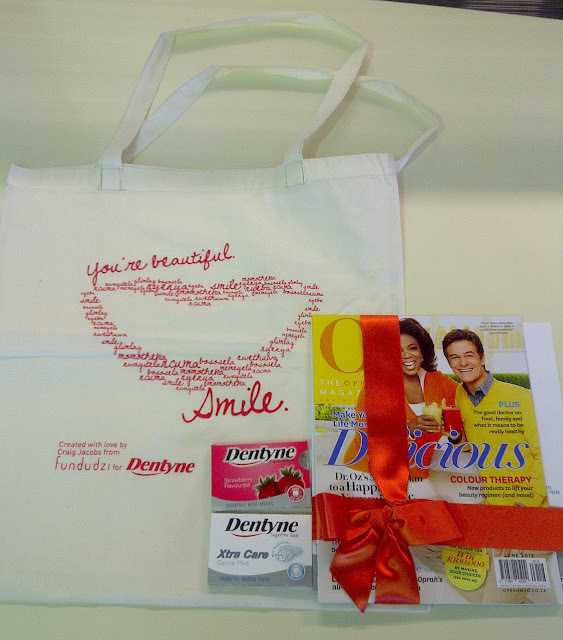 As an extra motivation to get started, ten readers who complete their boards before 8 June 2012 stand a chance of winning double tickets to an exclusive O and Dentyne Good Choices event in Johannesburg, with keynote speaker Martha Beck, on the 21st of June 2012. The June issue of O magazine is on sale from 21 May 2012 at all leading newsagents and stores.